3 good reasons to choose us! 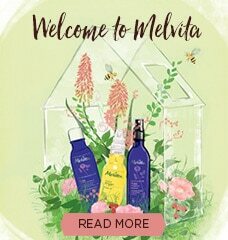 Melvita was born in the Ardèche, over 30 years ago, in a stunning, untouched region. Our products are designed and made by our passionate teams, in Paris and the south of France. 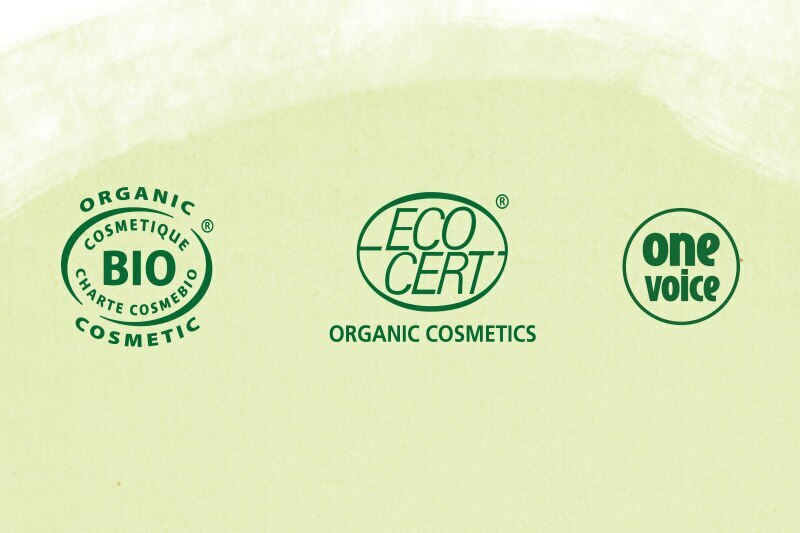 Since 1983, our objective has remained the same: to continue to be a pioneering brand and offer the very best organic beauty care for everyone. 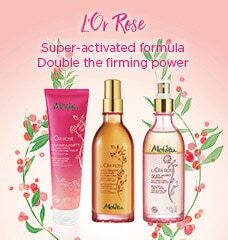 Natural + effective + safe + sensorial = Melvita! 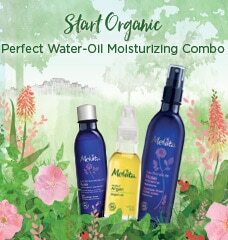 • Our skincare products contain at least 20% organic ingredients, compared with the 10% minimum required. • Our formulations undergo many tests (effectiveness*, skin tolerance, dermatological). We innovate. Nine patents pending: for our textures (with Nectar Suprême), for our active ingredients (with Nectar de Miels) and our preservatives (a specific combination). Our rich textures and exquisite scents are designed to delight the senses, and our packaging to please the eye! Nature is at the heart of everything we do: selecting natural ingredients and other ingredients from fair trade partnerships**, limiting our environmental impact at every level, engaging in active philanthropy, particularly through projects to protect bees… These are just a few examples of our solid, long-term and community-building commitments. 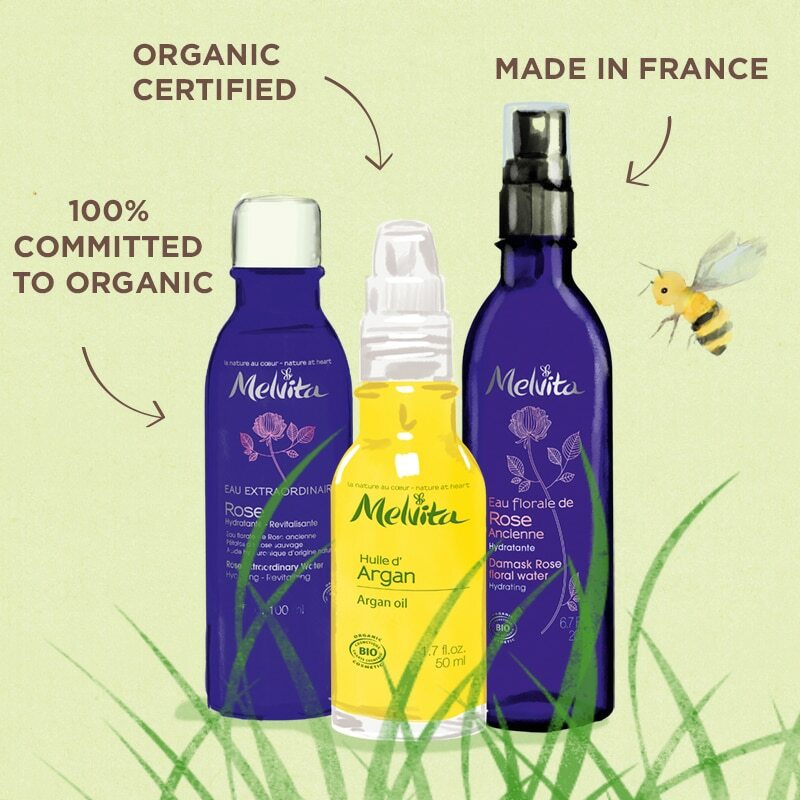 *We have filed 7 patents for effective ingredients used in four of our ranges: Nectar Suprême, Nectar de Miels, Nectar Bright and Bio-Excellence Naturalift. **We have 34 traceable supply chains, four of which are also Fair Trade approved by the Ecocert inspection and certification body.